Discretionary trading systems are also known as manual trading systems. 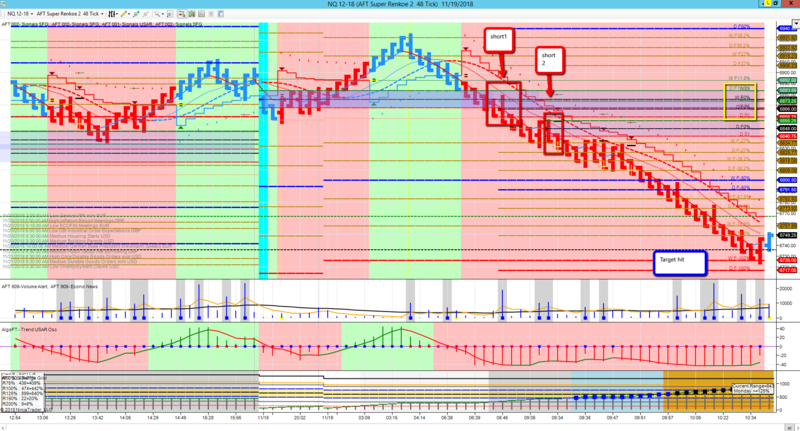 A a trader uses Chart Trading Indicators manually for trade entry rules, trade filter and trade exit rules. These might set to a specific trad plan and approach or filtered with the use of discretion with external elements such as news, other technicals, triggers, seasonals, cycles, timing and fundamentals. Therefore the entry rule and entry order is manually placed by the trader. When the trader is in a trade position long or short. The trade has to be manually management or automatic trade management applied to bracket the filled order entry position with a set of stop loss and target brackets. 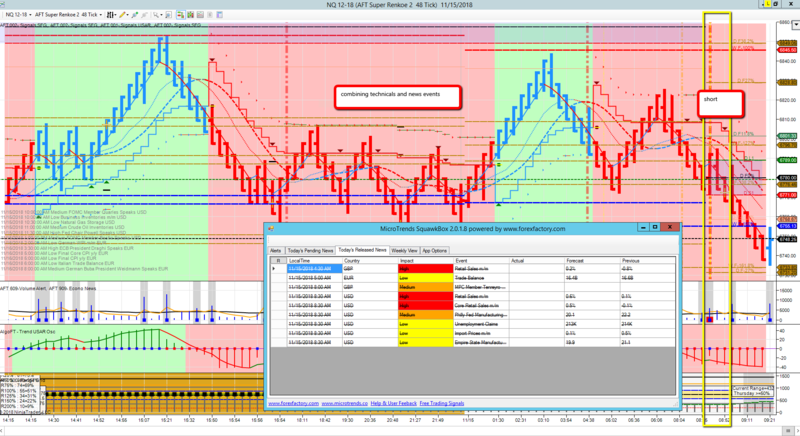 Chart Trading Indicator based Systems are known are accessible from a chart or from the NinjaTrader Market Analzer and are also used within NinjaTrader Strategies as technical enter,filter, exit studies. Discretionary trading systems are also known as manual trading systems. A trader uses Chart Trading Indicators manually for trade entry rules, trade filter and trade exit rules. These might set to a specific trad plan and approach or filtered with the use of discretion with external elements such as news, other technical’s, triggers, seasonal’s, cycles, timing and fundamentals. Therefore the entry rule and entry order is manually placed by the trader. When the trader is in a trade position long or short. The trade has to be manually management or automatic trade management applied to bracket the filled order entry position with a set of stop loss and target brackets. Charts are a trader’s window to the markets. With the many advances in today’s trading platforms, traders can view vast amounts of market information on their computers. With so much data available, it’s essential to use well-designed charts that enhance, and not hinder, your view of the markets. While the data and tools you choose to include in your charts ultimately have the greatest impact on how you interpret the markets, the overall design of your charts can improve your situational awareness, response time and trading precision. You could have all the right information to make smart trade decisions, but if you can’t find and interpret that data quickly, it is useless; the opportunity will be lost. The faster you can interpret market data, the faster you can react to changing conditions and pounce on trading opportunities. Technical Chart Trading Indicators can make that very much easier allowing visual trade entry rules, trade filter and trade exit rules, alerts, annotations and even voice signals to allow a trader to enter or exit a trade. Technical indicators can be applied to a price chart either as an overlay or as a sub-chart. 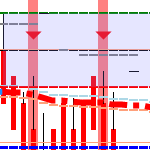 Overlays are drawn directly over the price bars so signals are on the price or vertically aligned above the chart time series. MicroTrends CEO & founder Tom Leeson is a real deal trader & developer actively trading & consulting for prop shops & hedge funds & has been directly involved with algorithmic trading & chart trading systems development since 1995 onwards commercially in the city of London’s trading arena. NinjaTrader specialist Since 2006 MicroTrends has specialised with NinjaTrader Indicators Strategies Automated Trading Systems Development and became the premiere leading developer of Automated & Discretionary Trading Systems Online for professional, commercial traders, supplier to vendors in the NinjaTrader community. 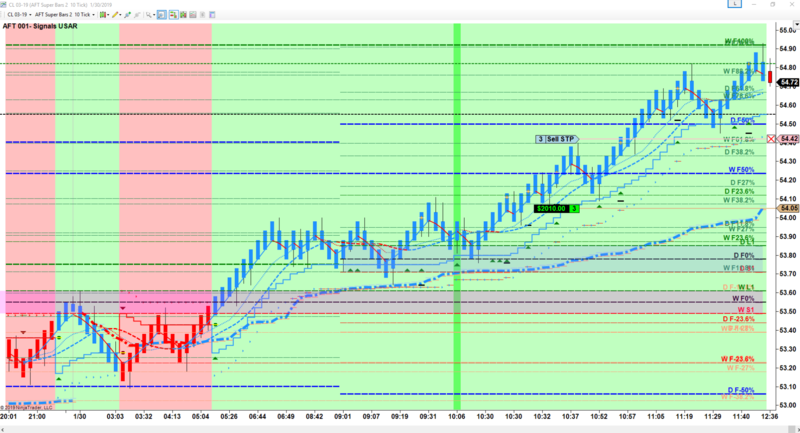 NinjaTrader Add-ons & listed NinjaTrader Consultants since 2009 creating proprietary & evolved classical technical analysis trading indicators & strategies, realtime controls and commercial asset/portfolio trading systems- also able leverage Microsoft Enterprise technologies, as well as FIX API for large commercial swing trading and portfolio trading systems – supplying vendors and retail & professional traders with algorithmic trading systems for futures, Forex and Stocks. Click here to learn about us. There is a certain appeal to developing an automated trading system that requires you to act in a specific way every time market movement sets off a signal. The upside is that, for some traders, it is far easier to maintain a discipline about their trading when there is no discretion in the decision-making process. The downside is that In order to derive the full benefits of a profitable system, the trader must carry out the system’s instructions to the letter. It is possible to be a discretionary trader that uses system trading, but it is not possible to be a system trader that uses discretionary trading. For example, a discretionary trader may follow a trading system for their entries and take every trade that the system identifies, but then manage and exit their trades using their discretion. A system trader does not have this option because they must follow their trading system exactly. If a system trader ever deviates from their trading system (even for a single trade), then they have become a discretionary trader rather than a system trader. How can I formulate realistic expectations? All of these elements are critical components in determining reasonable expectations.